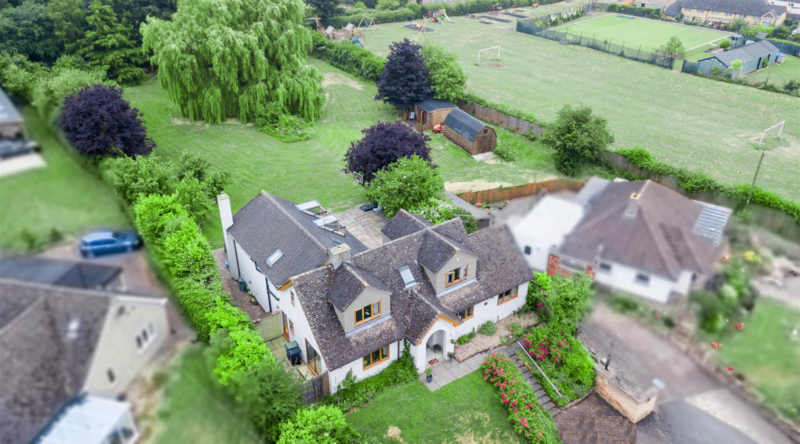 A stunning detached family home situated within the village of Islip that boasts a beautiful and very private rear garden that extends over 1.25 acres. The property offers versatile accommodation with four generous reception rooms, utility room, w/c, four double bedrooms and family bathroom. 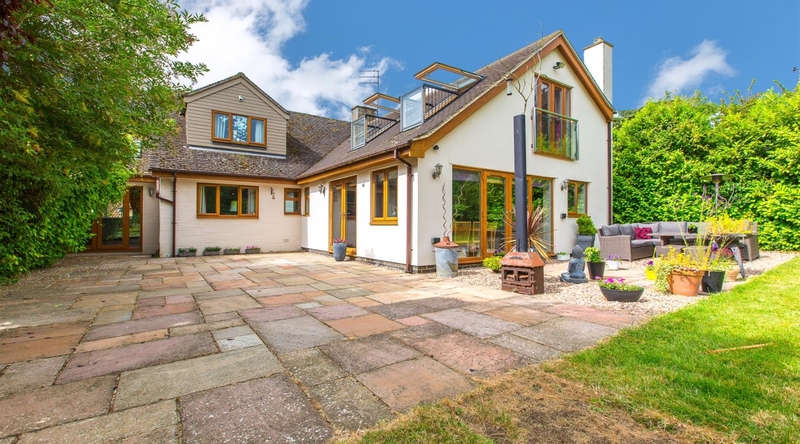 The well designed extension has provided additional living spaces and a grand master suite including a walk through wardrobe and en-suite, all finished to a top specification. 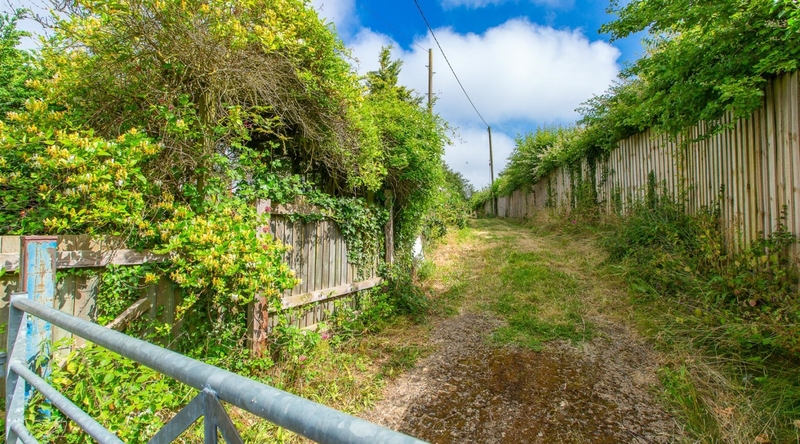 There is off road parking to the front of the property but also a gated lane for vehicle access into the rear garden for further parking. 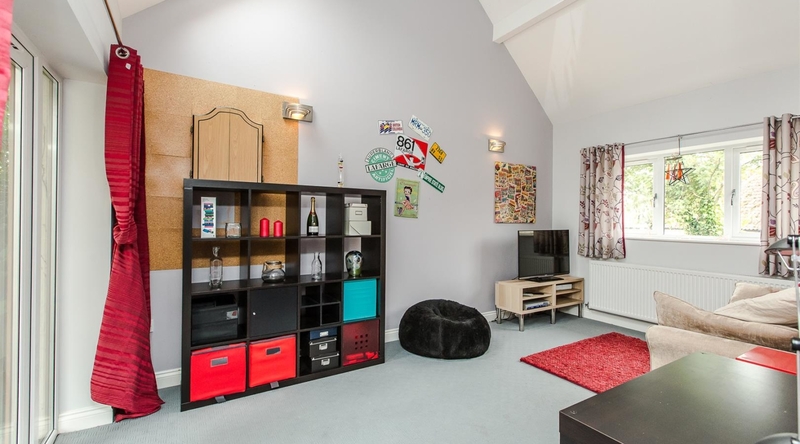 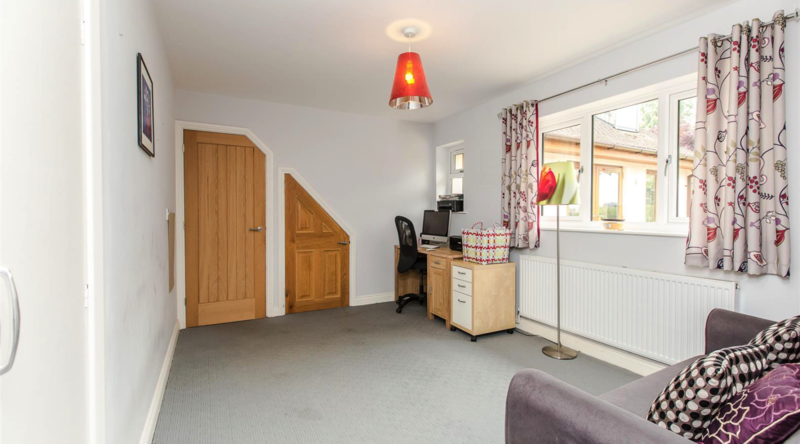 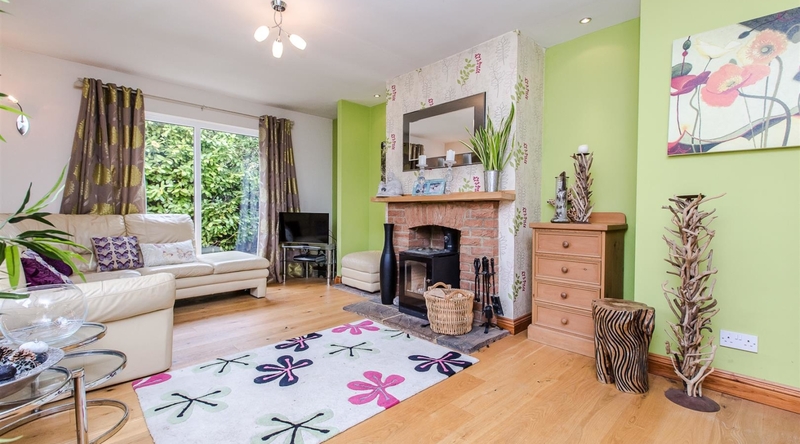 Entry to the property is gained via the entrance hall with doors to access the living room, ground floor bedroom, w/c, study and kitchen / dining room. 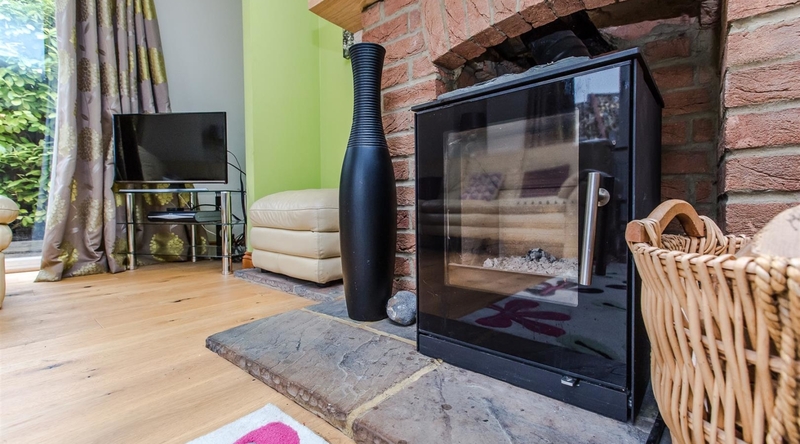 The living room, the first reception room, features a window to the front elevation and a floor length window to the side elevation looking out to the side patio area, creating a bright living space, there is also a feature fireplace with a woodburner inset. 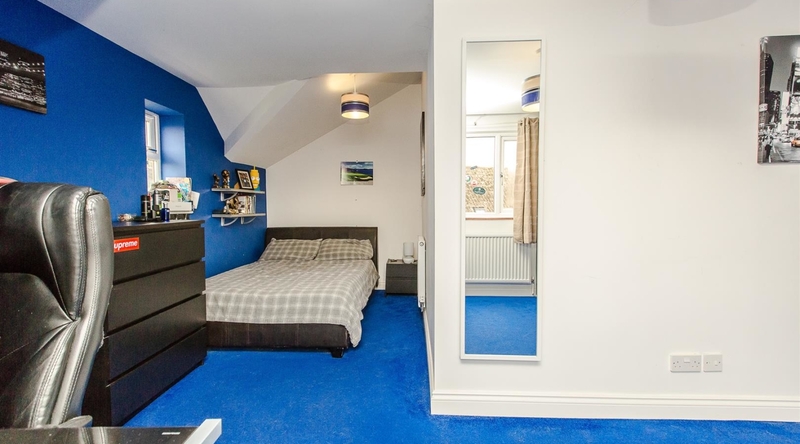 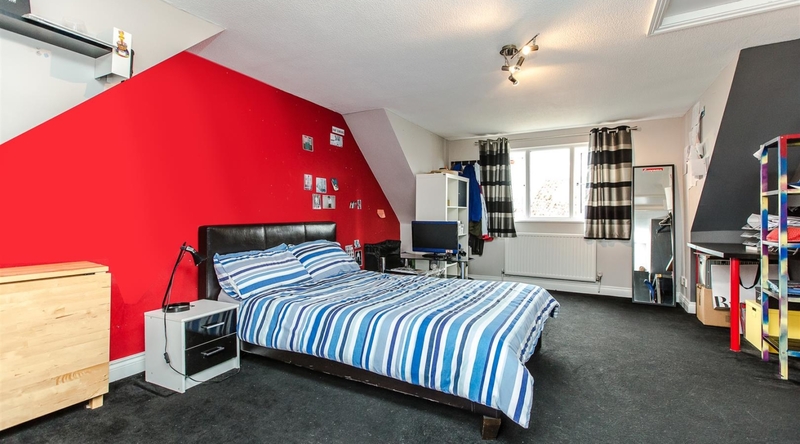 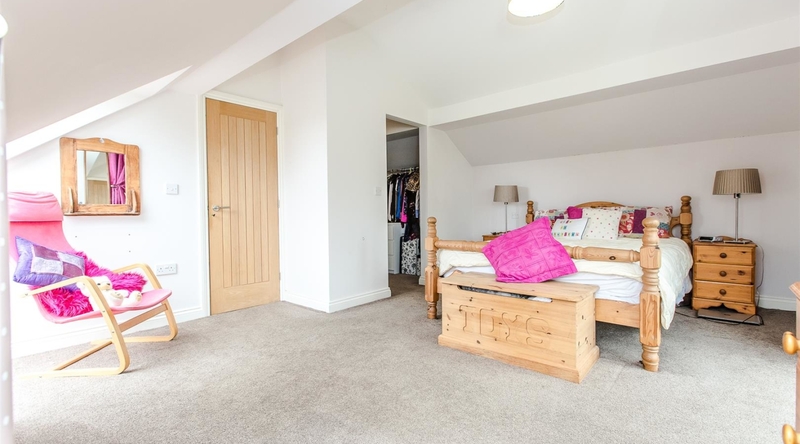 Across the hallway is an additional room which is currently functioning as a guest bedroom that benefits from an inbuilt cupboard with easy access to the downstairs w/c fitted with a white low level w/c and wash hand basin. 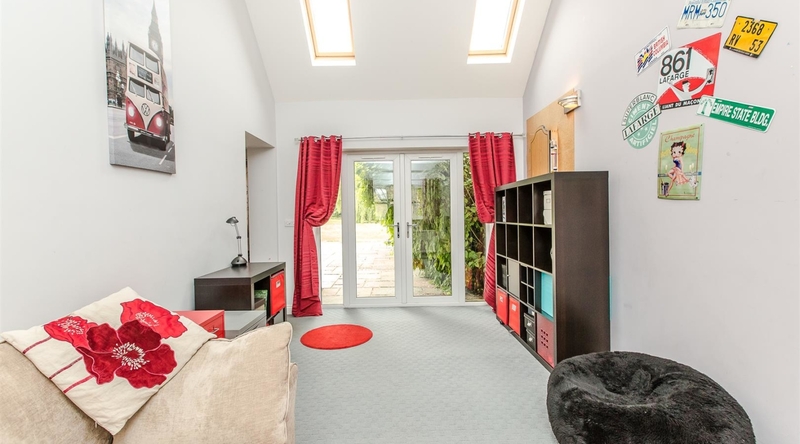 The study, a second reception room, features a storage cupboard and two windows with garden views and flows through into the sitting room / play room, the third reception room, which can be versatile in function and boasts dual aspect views, a high ceiling, skylight windows and double doors to access the rear garden. 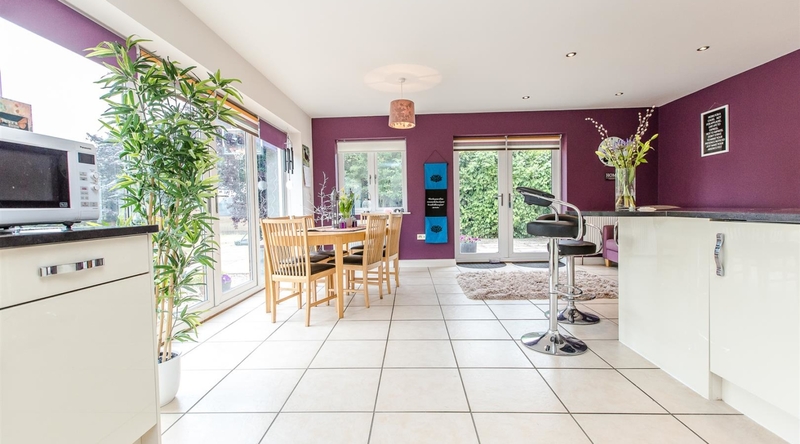 To complete the ground floor accommodation is the stunning open plan kitchen / dining room that also provides space for additional living furniture and features two sets of double doors opening out into the rear garden. 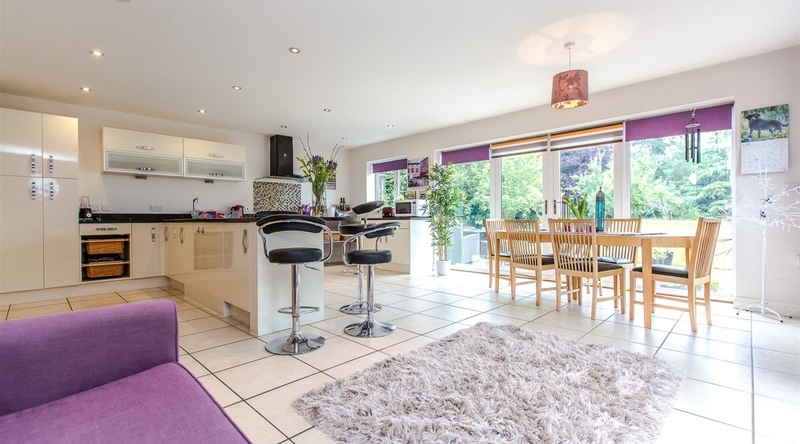 The kitchen is fitted with a range of cream gloss eye and base level units with marble work surfaces over, a range cooker with a fitted extractor hood over, integrated fridge, water filter system and space for dishwasher. 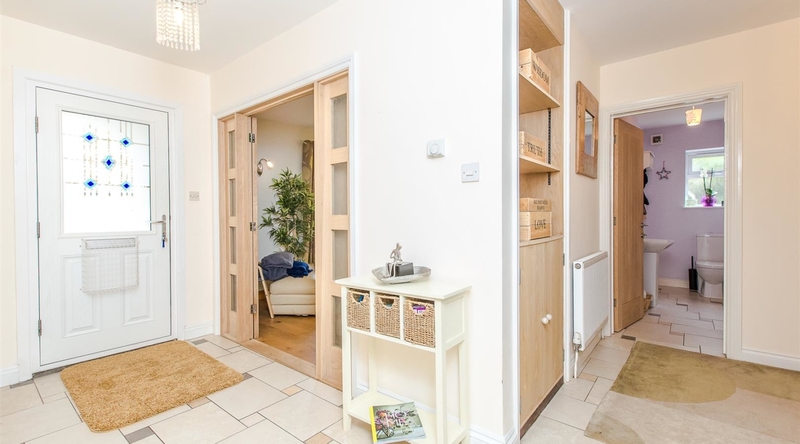 The utility room provides space for additional appliances and features a boiler cupboard and door to access the side garden. 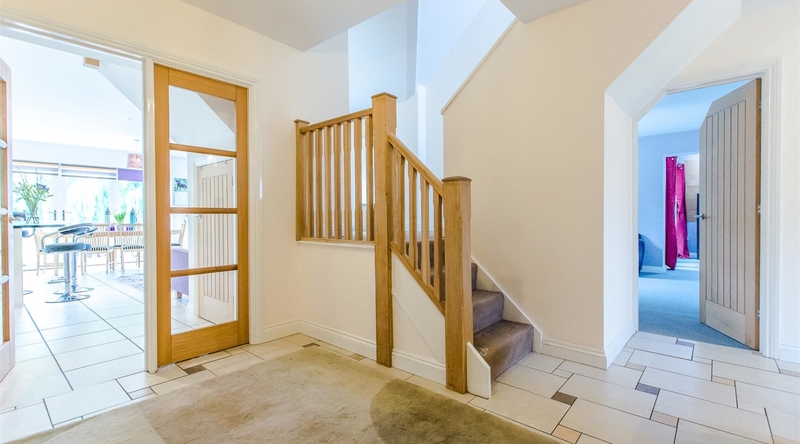 The mid-floor landing features two staircases, the first leads up to two double bedrooms and the family bathroom that form the original part of the house and the second staircase leads to the master suite built as part of the extension. 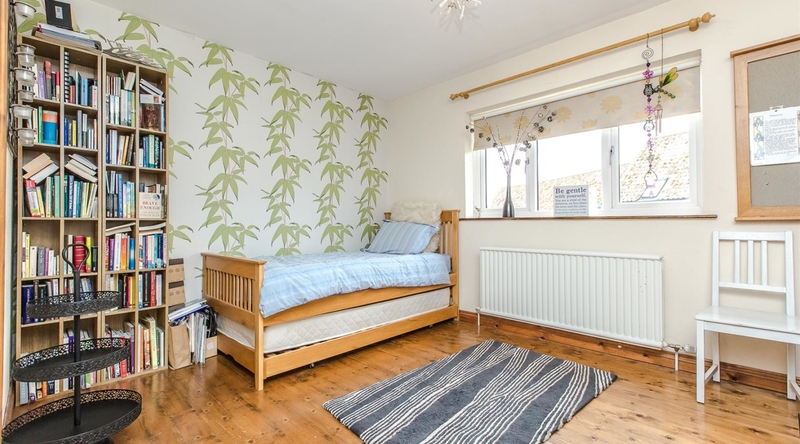 The two bedrooms are substantial in size, with ample space for furniture and both benefit from dual aspect views. 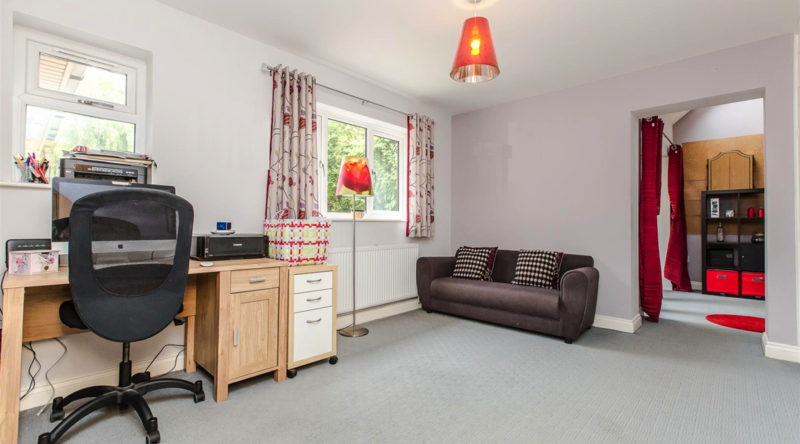 The family bathroom, also spacious is fitted with a four piece suite comprising bath, shower cubicle, low level w/c and a vanity wash hand basin. 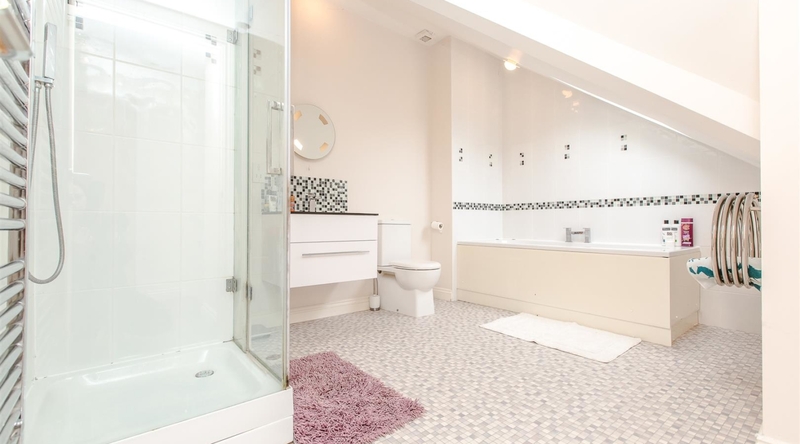 The bathroom also features a skylight window and two chrome towel heaters. 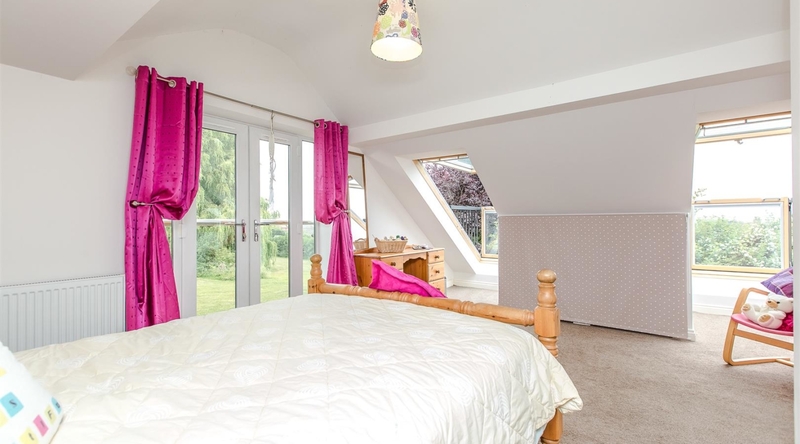 The master suite, is impressive, benefitting from its own landing space with a skylight window and a door to access the bedroom. 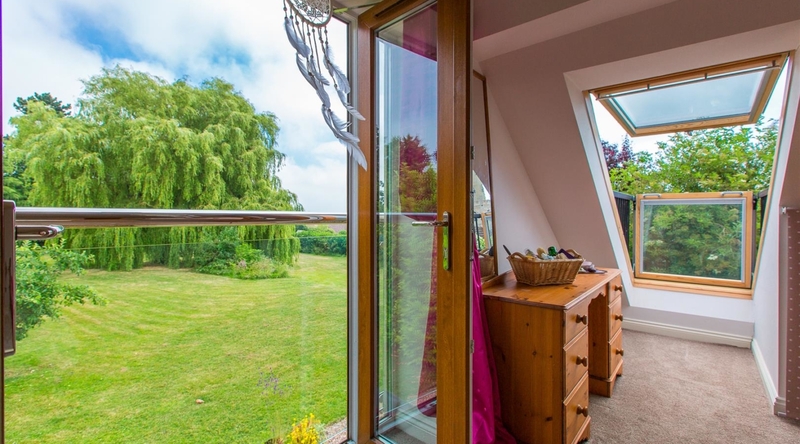 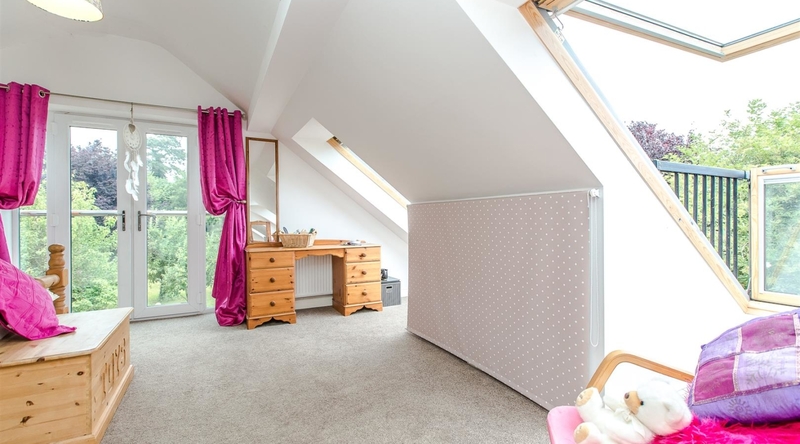 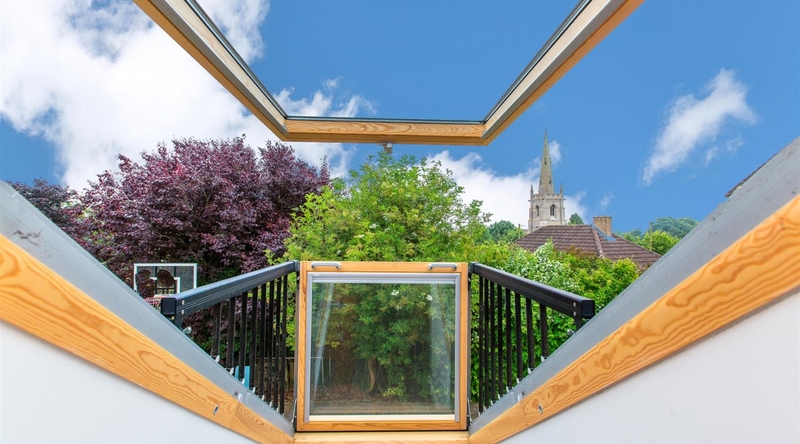 The master bedroom has been installed with two full length skylight windows opening out from the floor to create two balcony spaces and a further Juliette balcony with double doors open out to views of the rear garden and beyond, the town of Thrapston. 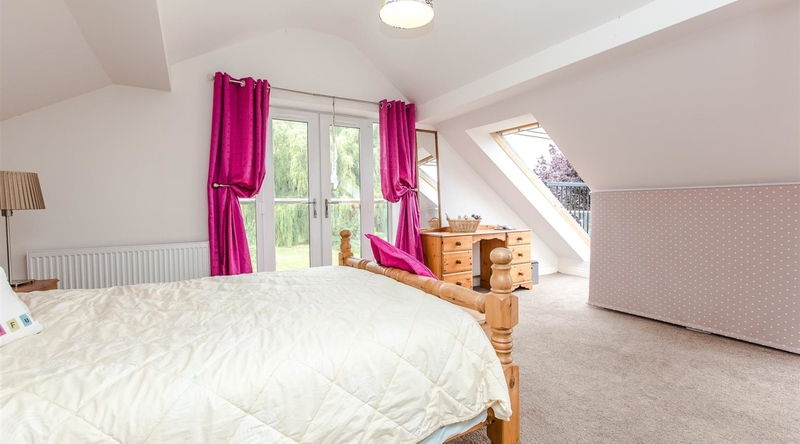 A door leads to the walk through wardrobe space with a further door to access the en-suite shower room which is fitted with a bath with shower over and screen, low level w/c, vanity wash hand basin and two chrome towel heaters and features a skylight window. 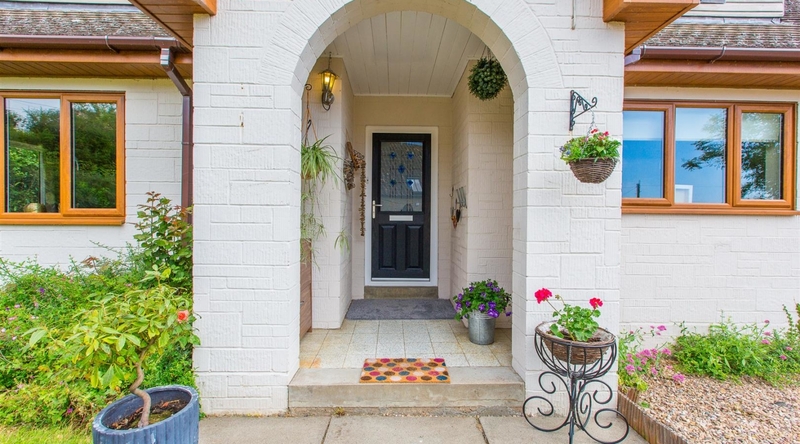 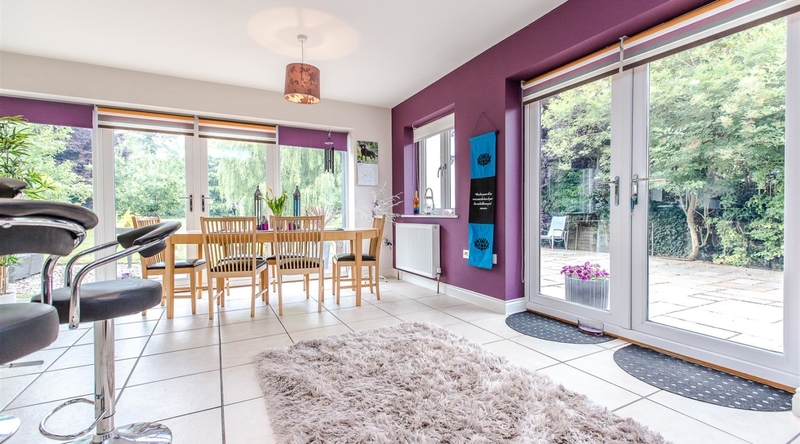 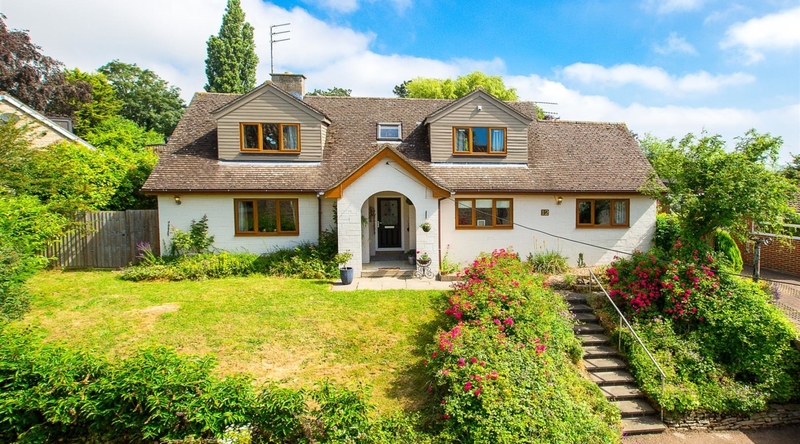 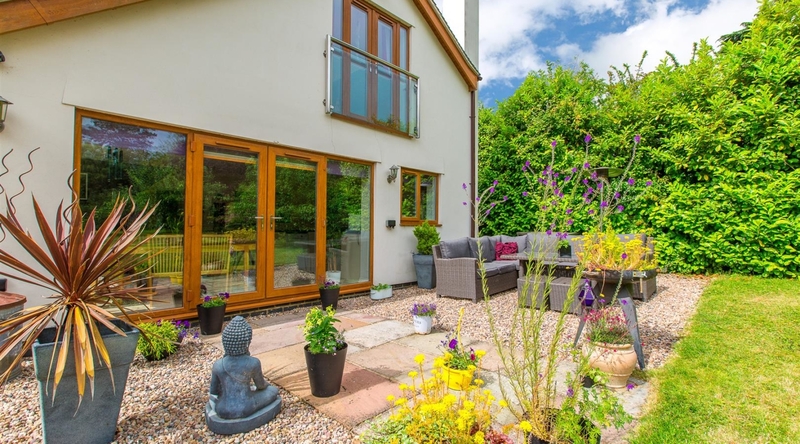 Externally, the property sits elevated and features two parking spaces to the front, a banked, laid to lawn front garden with shrub borders and steps alongside rising to the property. 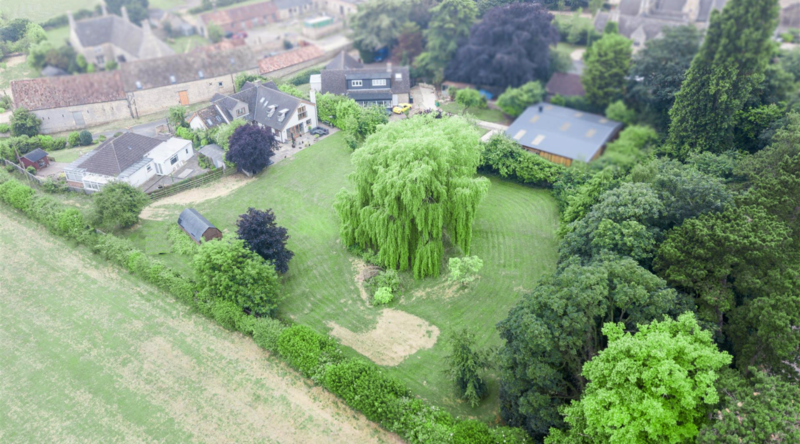 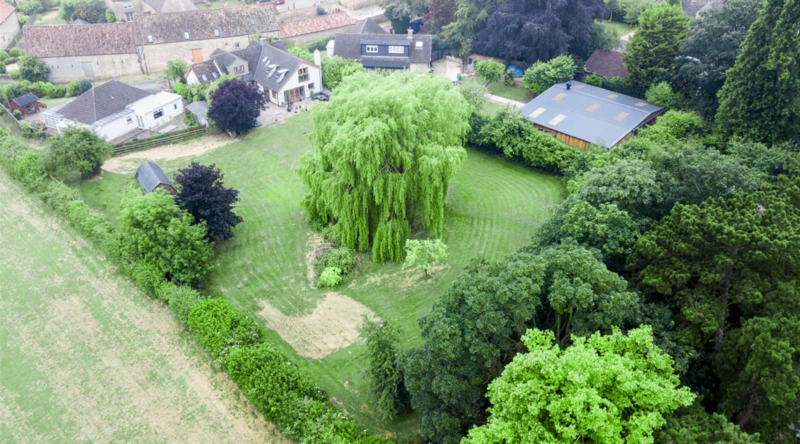 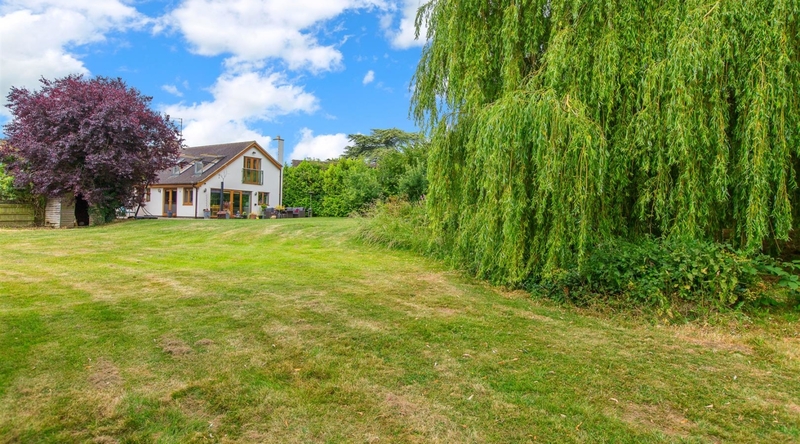 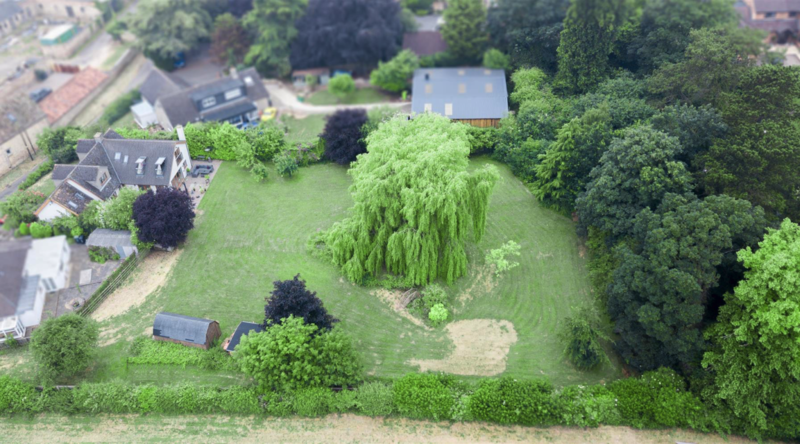 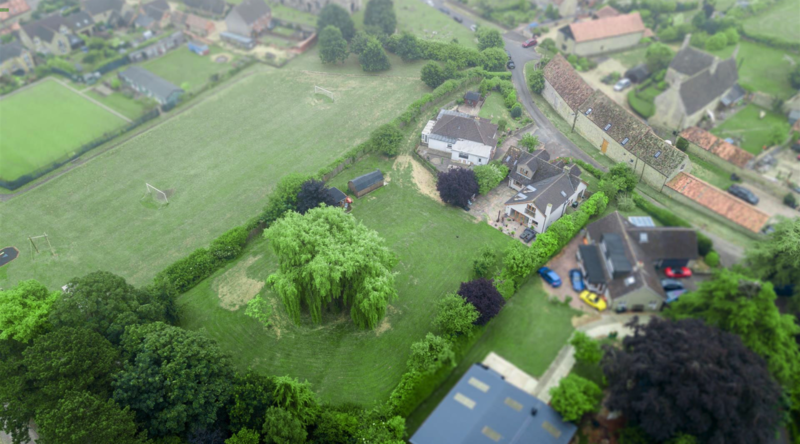 The impressive rear garden, formally a horse paddock, is over 1.25 acres in size with an un-spoilt woodland area to the rear that forms part of the boundary and a well established willow tree stands central within the vast lawn area with further trees and shrubs to the borders. 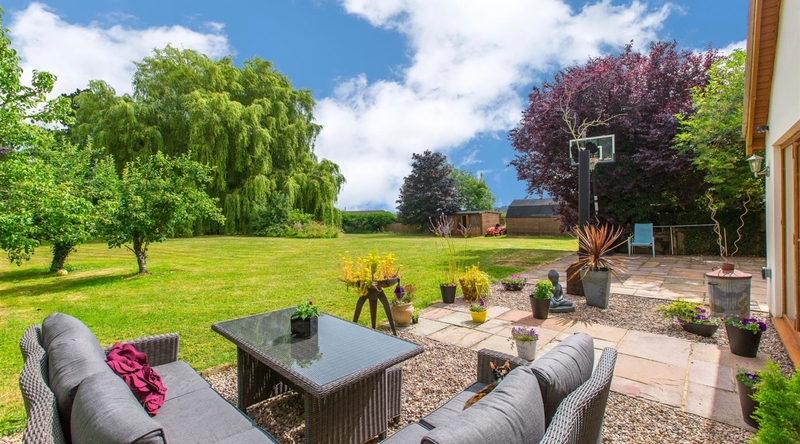 The rear garden can also be accessed from the road via a gated private lane, suitable for vehicles, providing off road parking for as many vehicles as the garden will fit! 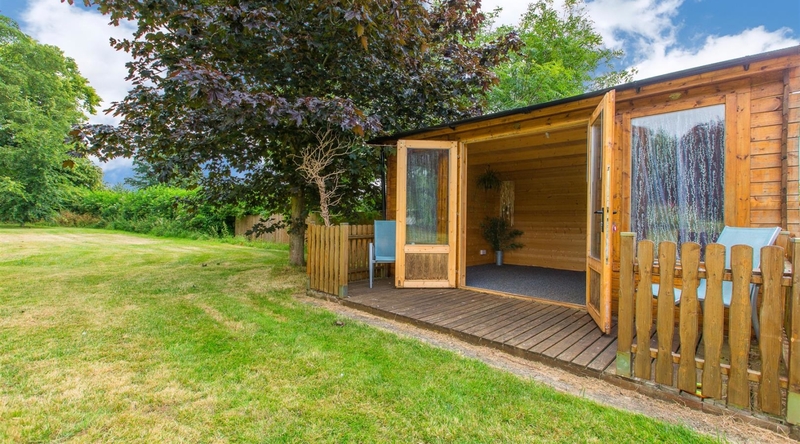 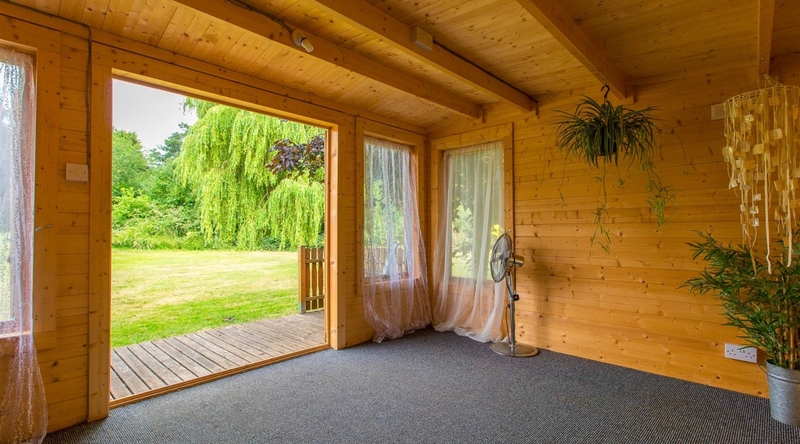 There is also a large timber store, which could be converted into a garage / workshop and a further timber summer house, fully functional with power and lighting. 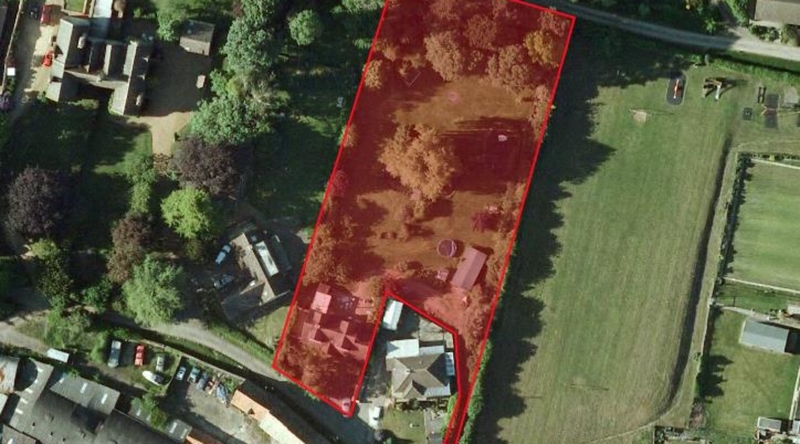 The property is situated within a quite residential area in the desirable village of Islip, with a neighbouring playing field and park. 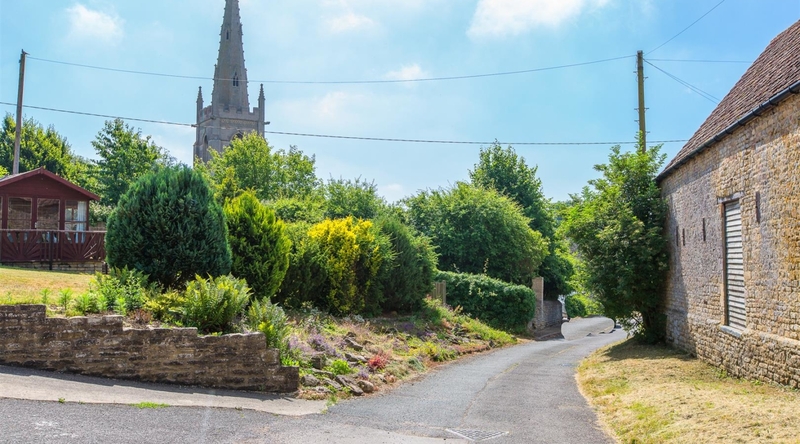 Islip also benefits from beautiful surronding countryside, riverside walks and a local village pub / restaurant and is a short drive / good walk into the market town of Thrapston.